Choose Lydia for spring and summer styles! 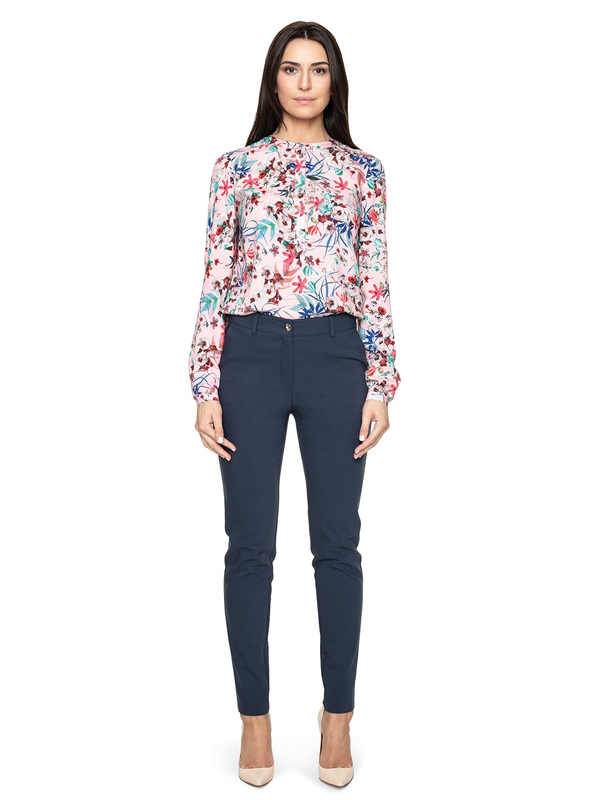 These close-fitting flexible trousers are mixing good look and comfort. 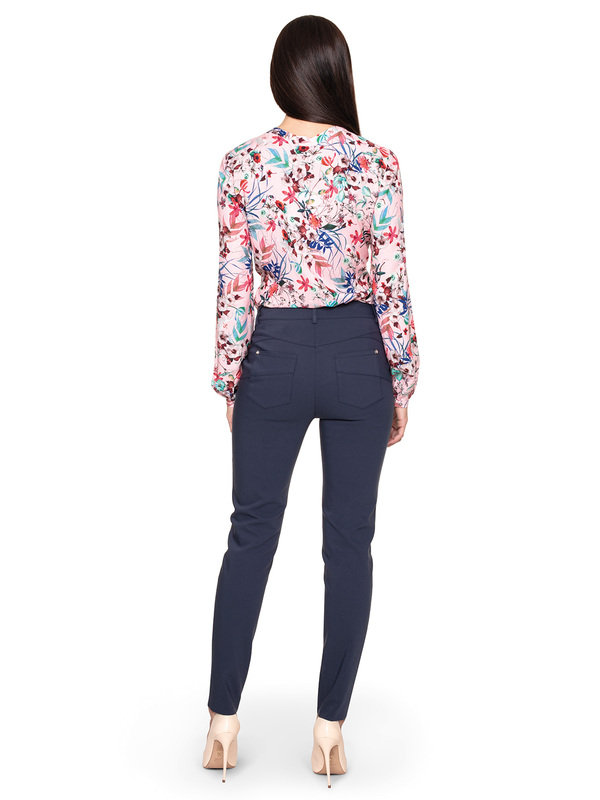 A fashionable trousers close to the body and in a slightly elevated condition. 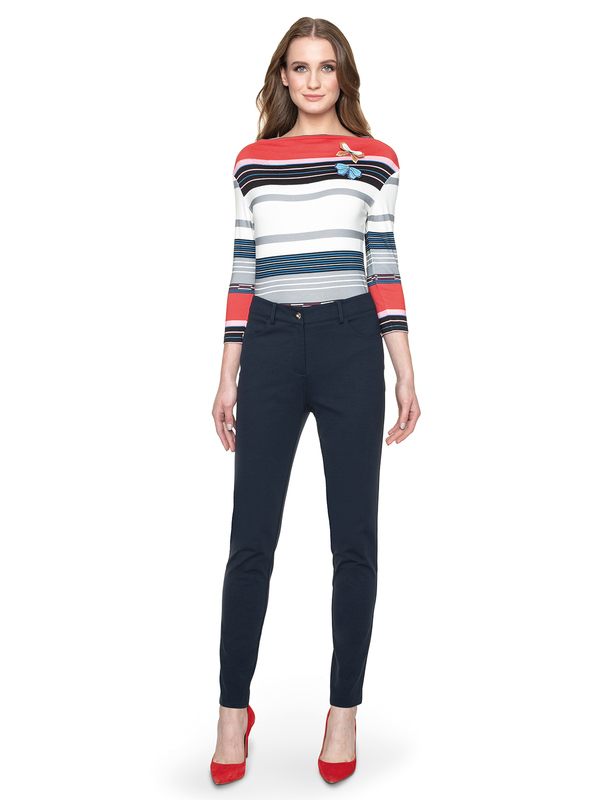 They have a cigarillon cut, navy blue colour and length reaching the ankles. These dark pants are great for everyday use and also for exit styling – their final appearance is a matter of accessories. 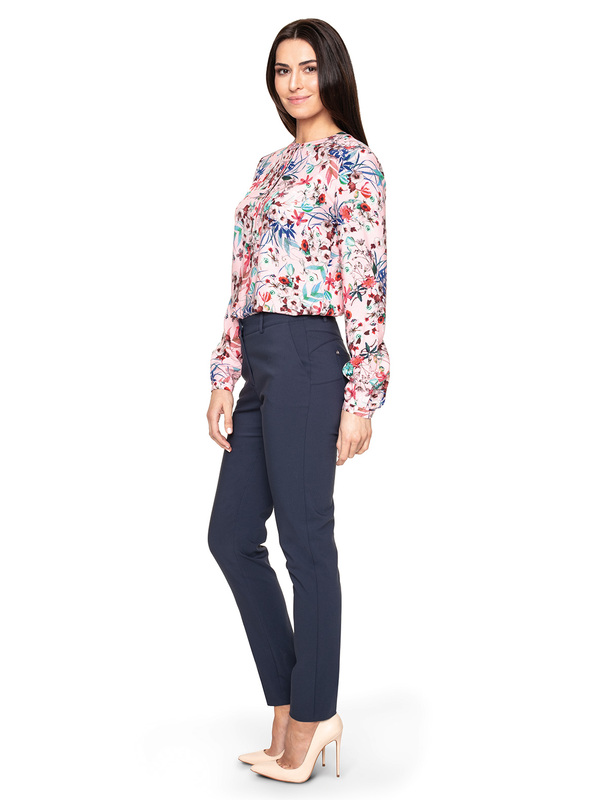 Match your navy blue trousers with a floral navy blue jacket shirt and beige hig-heeled shoes for a fashionable office look. Combine your Lydia with a loose t-shirt, a colourful bombard jacket and sporty boots to create a timeless and comfortable day-to-day look.